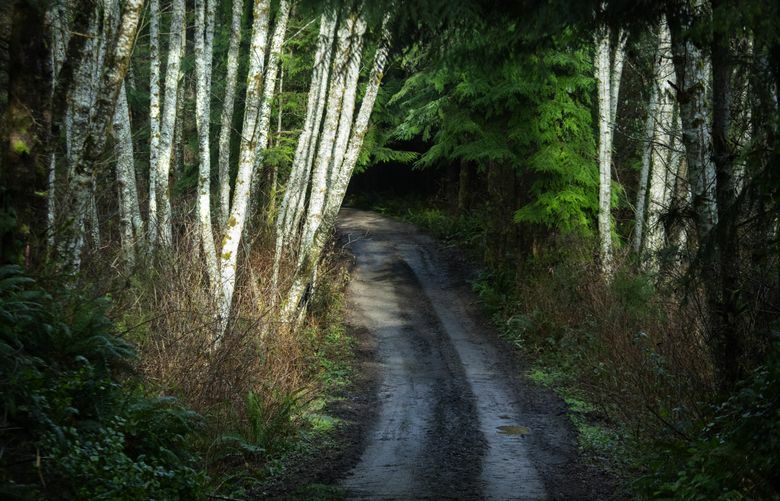 A $13 million fundraising effort means saving the Port Gamble Forest from development. The property includes a saltwater beach and forested trails. It took marching as trees in the Viking Fest parade. And as an octopus in the Fourth of July parade. And opening hearts to collaborate — and wallets to contribute. 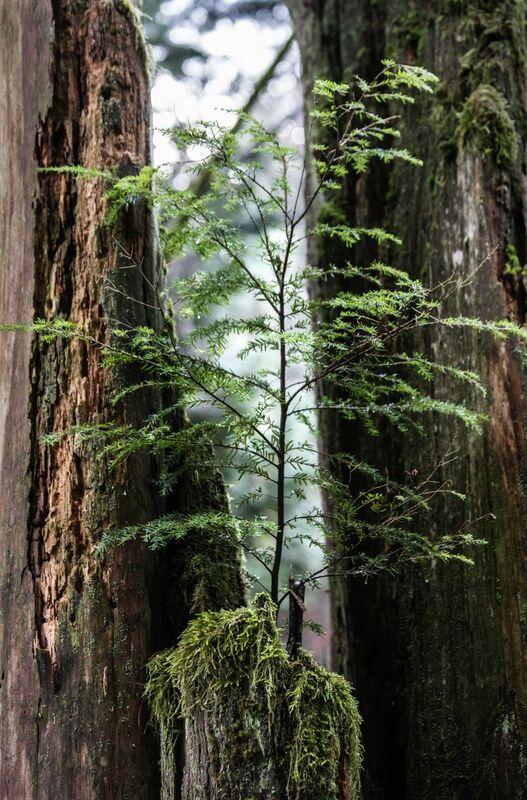 It took all of that and a whole lot of work to conserve the Port Gamble Forest, saved forever from development. The deal closed Friday by the nonprofit Forterra with Pope Resources was 10 years in the making, and capped an effort that included some $4 million in community contributions and grants in the final phase of the campaign from 1,200 donors. 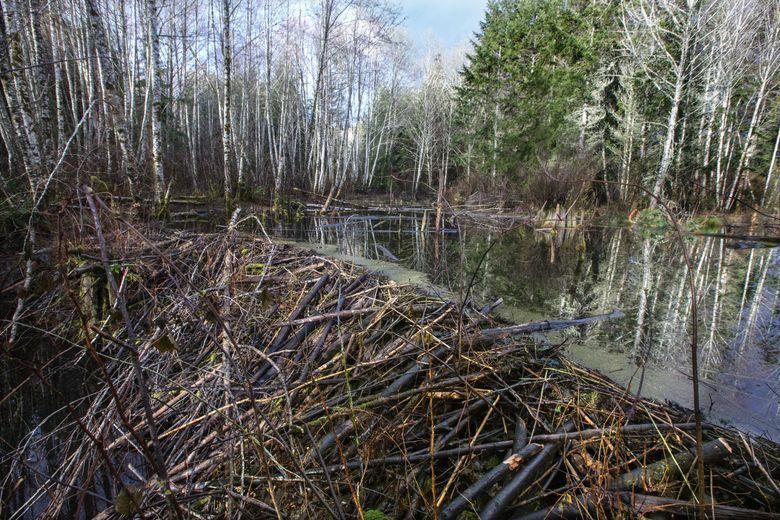 The cost of the Kitsap Forest and Bay Campaign was $13.3 million to purchase 4,000 acres in all. 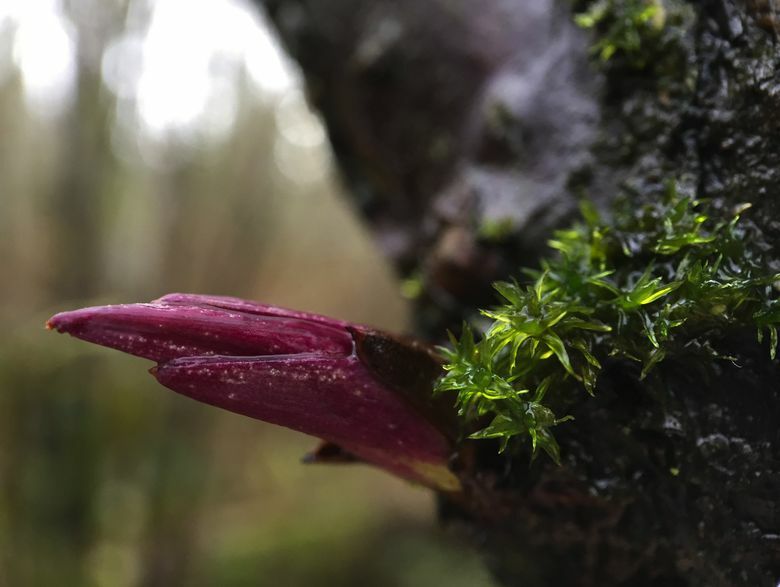 The campaign was an effort to conserve forest and shoreline surrounding Port Gamble Bay in north Kitsap County on western Puget Sound. The landscape is a mix of forest, 1.5 miles of unspoiled shoreline, and bogs and wetlands alive with wildlife. It is a place resplendent with sweet spots: big trees, quiet stretches of beach, meadows, ponds and streams. 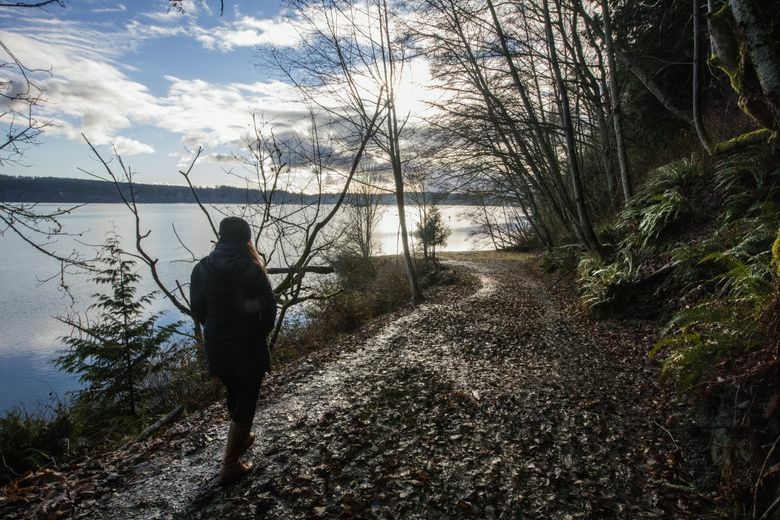 Nearly eight times the size of Discovery Park, the property includes 65 miles of trails already used by more than 20,000 hikers, birders, mountain bikers, equestrians, cyclists, runners and people from all over the region seeking some peace and quiet and space — all the more prized as Kitsap County develops. The forest also is home to bear, coyote, deer and birds from hairy woodpeckers to red-breasted sapsuckers. 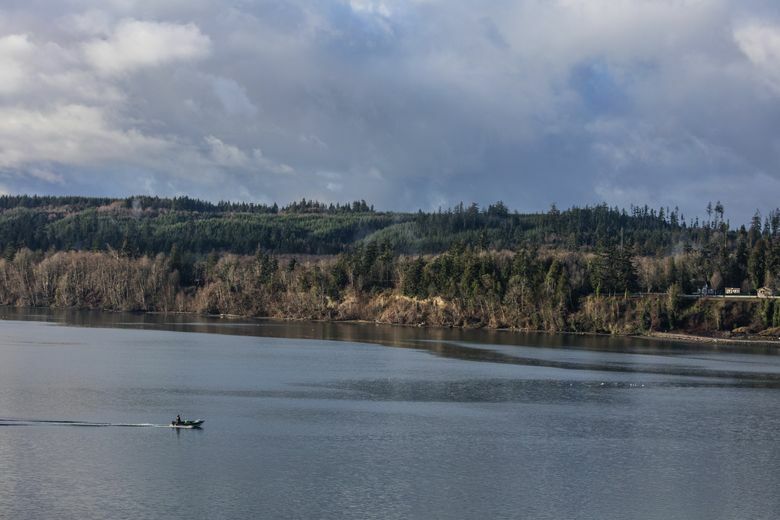 It’s one of the largest lowland forests in the Hood Canal watershed, and preserving such a large swath of land also will help protect the watershed of Port Gamble Bay. Setting the land aside now was a crucial win for the future, with two foot ferries now connecting Kitsap County with Seattle, and even more development expected, Conner said. Like everyone else involved in the campaign, she emphasized the “we” part. Everybody helped — the bird people, the horse people, the trail people, the mountain-bike people. 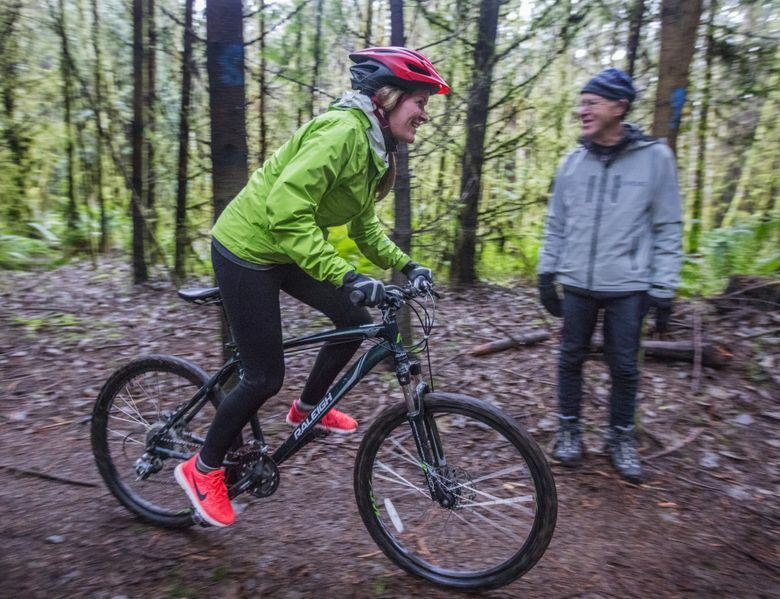 The Suquamish Tribe, the Port Gamble S’Klallam Tribe, Kitsap County, Kitsap Audubon Society, North Kitsap Trails Association, Evergreen Mountain Bike Alliance-West Sound, and Backcountry Horseman-Olympic Chapter. And on, and on, in a coalition of more than 30 local and state agencies, businesses, nonprofits and community groups. As part of the deal, some of the forest will be logged one last time by Pope Resources. 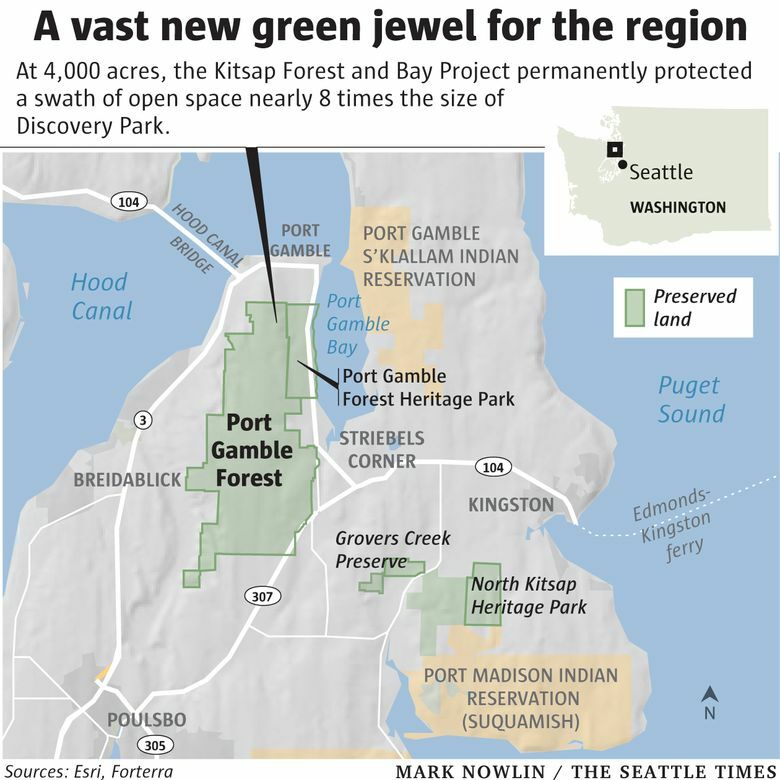 That lowered the price of the land, and also makes it possible, over time, to restore it to more of a natural forest, said Jeromy Sullivan, chairman of the Port Gamble S’Klallam Tribe. 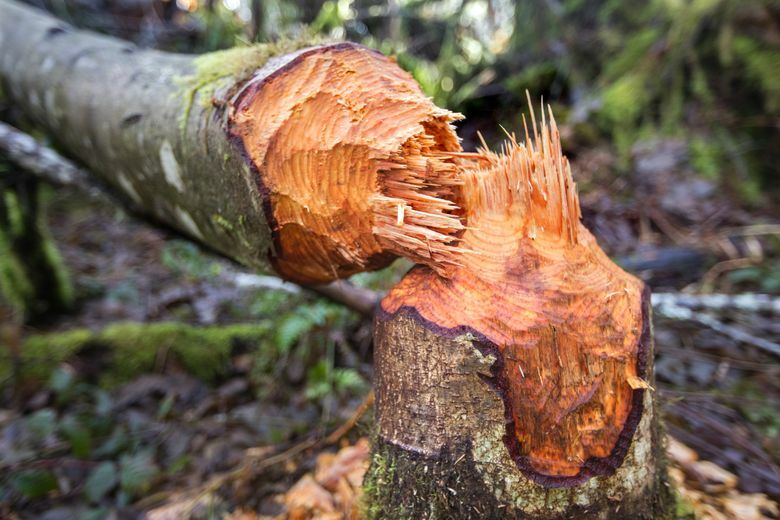 “That is a short time frame; they get the opportunity to harvest the timber and then we have the opportunity to plant a more natural forest, as opposed to a tree farm,” Sullivan said. Not only that, but the landscape can also support cultural practices for generations to come, Sullivan said. The water quality of the Port Gamble Bay and Puget Sound also will be protected by shorelines preserved from development, he said.